Actually, the topic of the presentation that Susan Bradley and I are giving at QAOTH is one. Implementing a Quality program in a relatively new company where the biggest challenges come from growth, not the need to control costs, has been a fascinating endeavor for us. Another area that is starting to take more of my time and energy is preparing to move into the Chair role for the American Society for Quality’s Software Division. I love the opportunity to see how quality is being implemented in all industries and all areas of life, around the world. Be more open to new opportunities. It took me a while to realize that some of the career options that I thought I would hate (quality, management, consulting) were actually things I would enjoy and grow from. I re-read ADKAR: A Model for Change in Business, Government and our Community, by Jeffrey Hiatt. ADKAR is a very useful approach to Organizational Change Management, that helps you ensure that your organization is adequately prepared to absorb change and make it stick. I also liked Effective Application of Software Failure Modes Effects Analysis, by Ann Marie Newfelder, which is a practical guide to how to conduct eight different types of Software FMEAs. It uses a lot of examples from the defense industry, but is applicable to all industries. I think the misconception that bothers me the most is that testing is something anyone can do well, that it’s an entry-level activity that doesn’t require a lot of thought. Good testers bring a wealth of knowledge about systems, technology, people and organizations to bear on their craft. And they have supernatural powers for breaking things before the customer does. 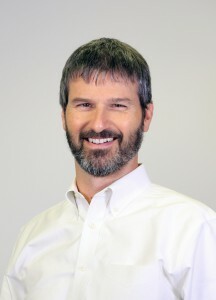 Rick will be speaking on the topic of “CoverMyQuality: Implementation of a New Quality Program”.